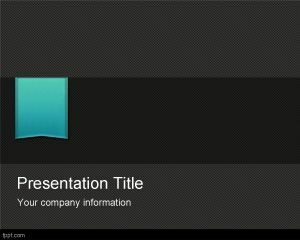 This free Roman Pillar PowerPoint template has a nice pillars design ready to be used in your presentation slides. 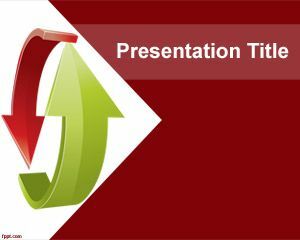 Just like a pillar is a structural element, this free Architectural PowerPoint theme is an elementary tool in presenting a blue print of a building or a building plan of a residential / commercial site. 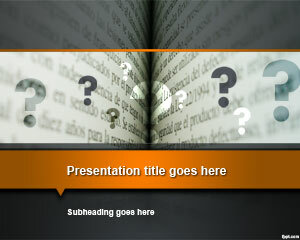 The greyish tone gives it a formal look, making it safe choice in educational / academic free PPT projects. 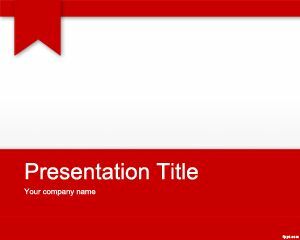 Make your presentation stand out with a simple and effective theme, such as free 4 Column Pillars free PowerPoint slides. These pillars are symbolic as they may be used to logically divide the whole into four parts. 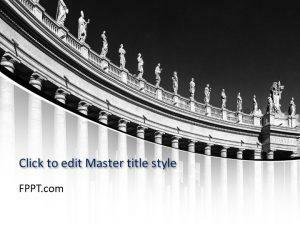 For example, the four pillars of the National Honor Society (NHS), destiny, and democracy. 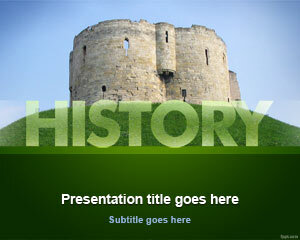 Thereby, making this free PowerPoint theme useful in describing Ethics, hope, governance, and law & order. 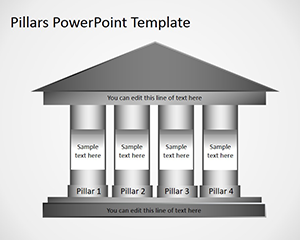 Compatible with the latest and previous releases of Microsoft PowerPoint, use it for academic or professional presentations.